This was a long exposure assisted by “light painting” the rocks in the foreground. The hard part is getting the torch to light the rocks evenly.I was fortunate to get a shooting star (or perhaps the space station) in the image. I like the contrast of the blue and the orange/red of the rocks (which is emphasised by the tungsten light of the torch). For those who know the area, this is taken looking back up to the tourist lookout. This entry was posted on April 20, 2011 by ianwiese. 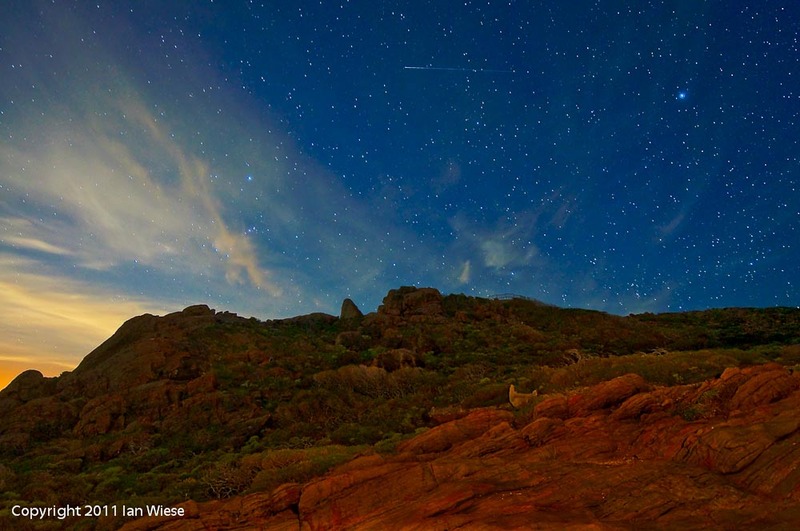 It was filed under Landscape and was tagged with light painting, night sky, rocks, shooting star, stars, Sugarloaf.